How movements work; Shamu’s story. Shamu, the stage name of the killer whales that perform at SeaWorld, has been the subject of animal rights activism for years. And what a great case! 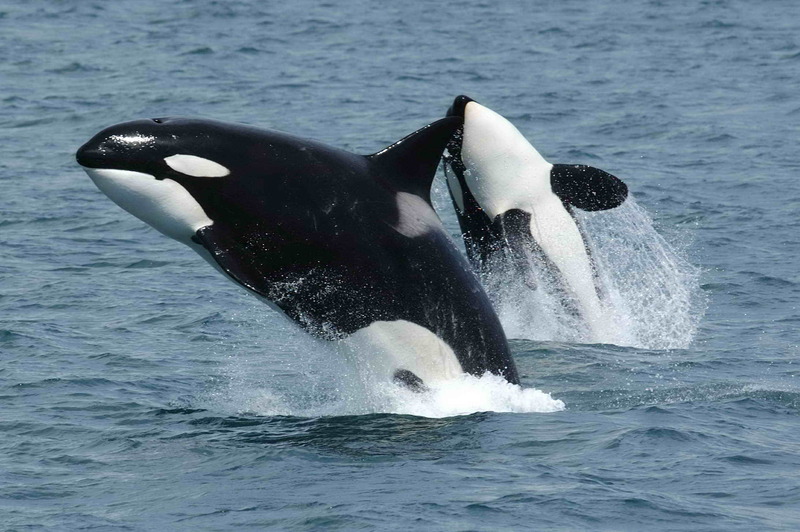 Orcas are large, smart, social mammals, who live shorter, constrained lives in captivity. I really don’t know what they feel, but in captivity, their distinctive dorsal fins droop, sadly. In 2011, PETA filed an unsuccessful lawsuit arguing that orcas were entitled, as non-human persons, to 13th amendment protections against involuntary servitude. In 2013, documentarian Gabriela Cowperthwaite released Blackfish, which focused on the sad story of Tillikum, an orca captured by SeaWorld, who was involved in the deaths of three people. SeaWorld refused to cooperate with making the documentary, filed a complaint with the Department of Labor protesting that its employees did, and published its own factsheet on line disputing the film. And all the while, activists have been demonstrating outside SeaWorld. This past year, state legislators in California and New York proposed legislation that would prohibit orca performances or keeping killer whales in captivity altogether; nothing’s passed so far, and SeaWorld promised to relocate any killer whales to theme parks in states with less strict rules rather than release or retire any of them. So, the lawsuit failed, and the new laws stalled; but you don’t have to win in order to effect influence. Attendance dropped at SeaWorld; at least some parents planning vacations didn’t want to answer questions about the droopy fins. The company’s stock price collapsed. Prominent musicians canceled dates performing at the theme park, and other businesses, like Southwest Air, severed their ties with SeaWorld. Credit rating agencies lowered SeaWorld’s bond rating, making it more expensive for the company to borrow money. What to do? SeaWorld announced that it would be providing larger pens for the orcas, twice the size of the present tanks. It didn’t credit PETA or protests for this decision, but emphasized how the care of the whales was always a top priority. Of course, larger pens are hardly what the campaigners were after, and they’re not satisfied. See the report at Sea World of Hurt , a campaign sponsored by PETA. But this is one way movements work. The animal rights campaign made the captivity and conditions of the orcas an issue, and it hurt SeaWorld, even if the campaigners were targeting for so much more than that. 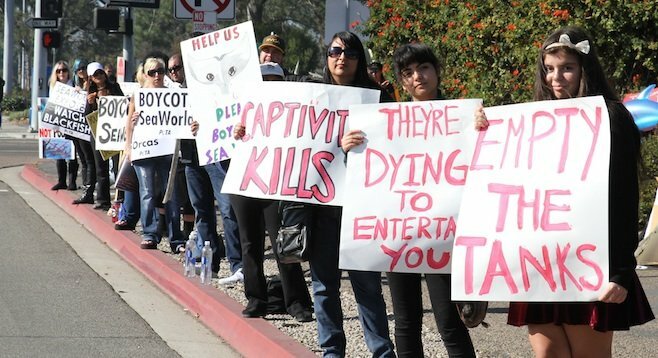 SeaWorld is trying to recapture market and reputation, doing something different in response to the changed world the movement campaign created. We know at least two things: The animal rights activists will demand more. And SeaWorld won’t credit the activists. What we don’t know: Is building larger pens and nodding to research enough of a change to get some of those families to rebook visits to SeaWorld and see killer whales next year. This entry was posted in Uncategorized and tagged Blackfish, courts, Gabriela Cowperthwaite, killer whales, litigation, orca, PETA, San Diego, SeaWorld, Shamu, Southwest Air, Tillikum. Bookmark the permalink. 7 Responses to How movements work; Shamu’s story. Was just discussing going to Sea World with a friend. She said how she absolutely loved the Shamu show and how the activists took the wind out of the whole experience. It’s what happens when you elevate animals to humans. I think it would have served a greater purpose to make sure the whales are treated and cared for humanely, rather than demonize the whole enterprise and stop the whole enjoyment of these majestic creatures by the public. Very few of us can go on Safari or the places where these whales dwell. . When will PETA stop??? When the humans are gone??? So, the critical actors in all of this are the people like you, who might go to SeaWorld if the conditions were right. Bigger pens and more science might make it all humane enough for some potential customers–if certainly not PETA. Oh, I’m sure I’ll still go. I don’t think I have enough life left to wait for the science nor enough energy to let PETA rob me of too much sleep. And if I waited until conditions were right, heavens I’d never leave my front porch to venture out anywhere. There’s enough blame on both sides as each manifests a type of greed, just different labels. I see the argument and irony of both. And in argument and irony nobody really wins. But I will not let it steal all the fun and joy from me. P.S. And I do get the overall gist of how movements work and Sea World is a perfect example. Thought provoking post. My family and I have been to SeaWorld in the past. I was under the (wrong) impression that the animals that were there were because of rescue and not being able to be released back into the wild. After seeing Blackfish, it really made me think about it on a much deeper level, and I will not visit the parks again. I am voting with my dollars. Protest is about unpacking what we all take for granted. Documentary film makers try to do the same thing, but the Blackfish story is incredible!